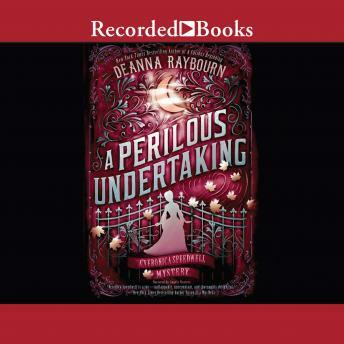 Veronica Speedwell returns in a brand new adventure from Deanna Raybourn, the New York Times bestselling author of the Lady Julia Grey mysteries. London, 1887. Victorian adventuress and butterfly hunter Veronica Speedwell receives an invitation to visit the Curiosity Club, a ladies-only establishment for daring and intrepid women. There she meets the mysterious Lady Sundridge, who begs her to take on an impossible task-saving society art patron Miles Ramsforth from execution. Accused of the brutal murder of his artist mistress Artemisia, Ramsforth will face the hangman's noose in a week's time if Veronica cannot find the real killer. But Lady Sundridge is not all that she seems, and unmasking her true identity is only the first of the many secrets Veronica must uncover. Together with her natural historian colleague Stoker, Veronica races against time to find the true murderer-a ruthless villain who not only took Artemisia's life in cold blood but is happy to see Ramsforth hang for the crime. From a Bohemian artists' colony to a royal palace to a subterranean grotto with a decadent history, the investigation proves to be a very perilous undertaking indeed. Gosh I hope she writes a 4th book with the same narrator. Best mystery series today.